Weirdly Supernatural [# 2, 2004] ed. Jonathan Harker (Haunted River, The, £10.00, ii+110pp) Limited to 100 copies. 79 · Long Service · David G. Rowlands · ss (r); a variant version - the one Derleth rejected! 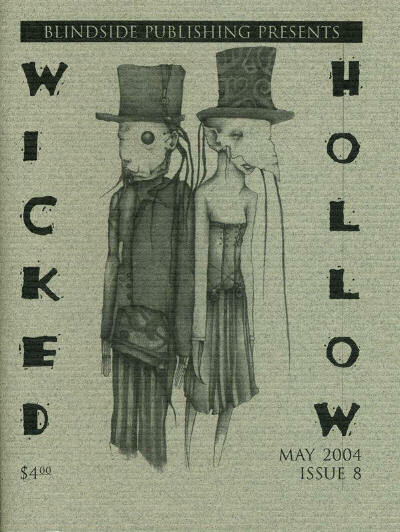 Whispers of Wickedness [# 4, Spring 2004] ed. Peter Tennant (D-Press, free, 24pp, A5, cover by Emily Veinglory) Small press fantasy/horror magazine. 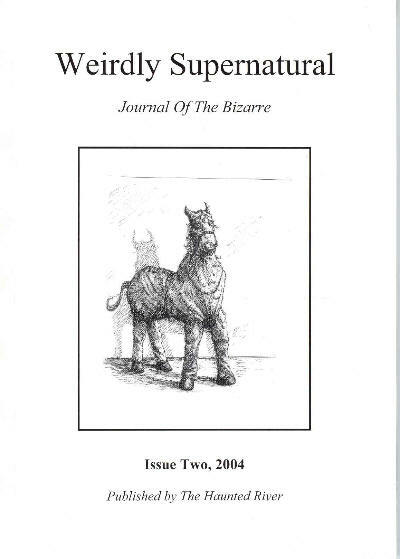 The Ash-Tree Press Annual Macabre 2004: The Last Queer Stories from Truth ed. Jack Adrian (Ash-Tree Press 1-55310-077-8, Dec 2004, C$52.00, xxxix+140pp, hc, cover by Rob Suggs) Anthology of thirty-one short stories from the Queer Story feature in Truth. This is a limited edition of 500. A world-wide edition available in the US for $43.00 and in the UK for £25.00.